"The bouquet urn is absolutely stunning, cannot fault it at all. The company are amazing to deal with, I had previously ordered the teardrop urn, again, absolutely stunning, but it was too small. The company refunded me no problem. Fabulous service." 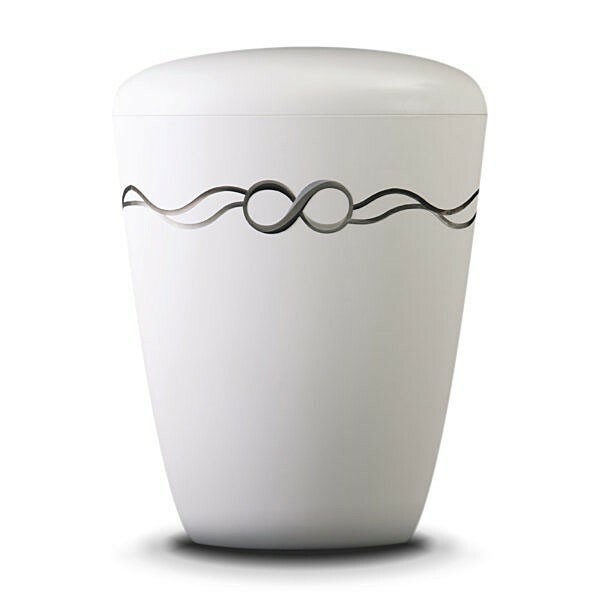 This is the Ivory Infinity Bio Cremation Urn, it is a large, or adult sized biodegradable funeral urn of the very highest quality. This beautiful, environmentally friendly urns for ashes has been hand finished to the most exquisite standard, and is made entirely of natural materials. 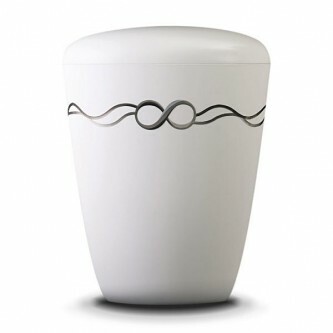 This is the Ivory Infinity Bio Cremation Urn, it is a large, or adult sized biodegradable funeral urn of the very highest quality. This beautiful, environmentally friendly urns for ashes has been hand finished to the most exquisite standard, and is made entirely of natural materials. This urn will start to biodegrade the moment it is subjected to moisture, either in the ground or in water. The time this process takes will vary,because it is entirely dependent on the environmental conditions. Alternatively, if it is kept in a domestic environment, it will last indefinitely, so it can be used as a permanent decorative urn. 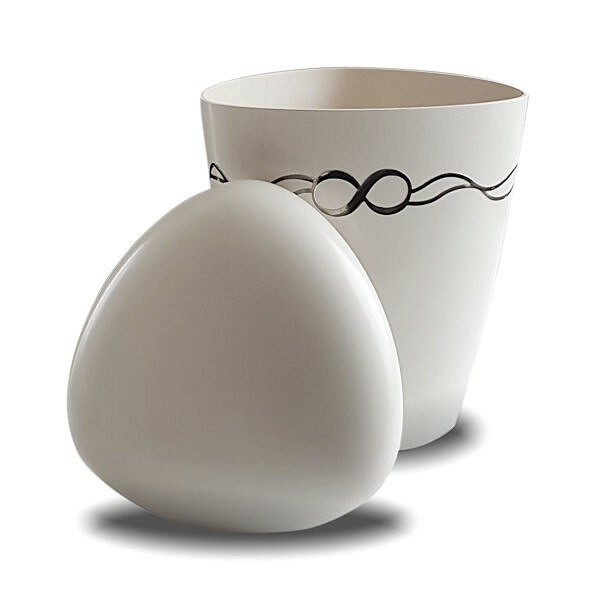 Our eco-friendly funeral urns are exquisite products that help to preserve the environment and protect the future of our planet, a natural alternative, in harmony with nature that really is a beautiful and fitting testimony to the memory of a loved one.